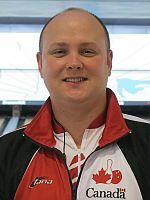 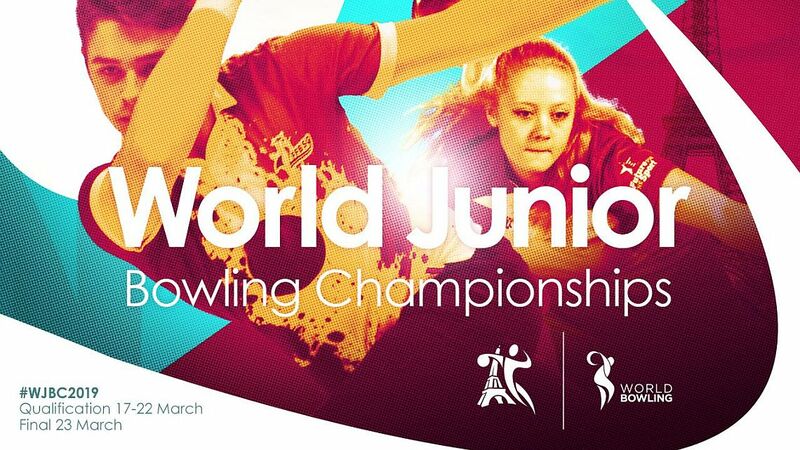 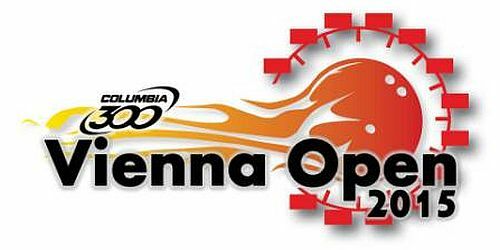 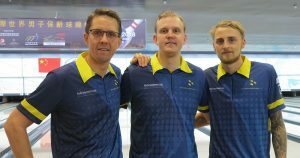 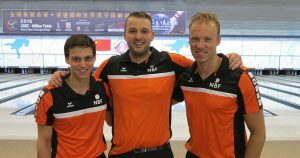 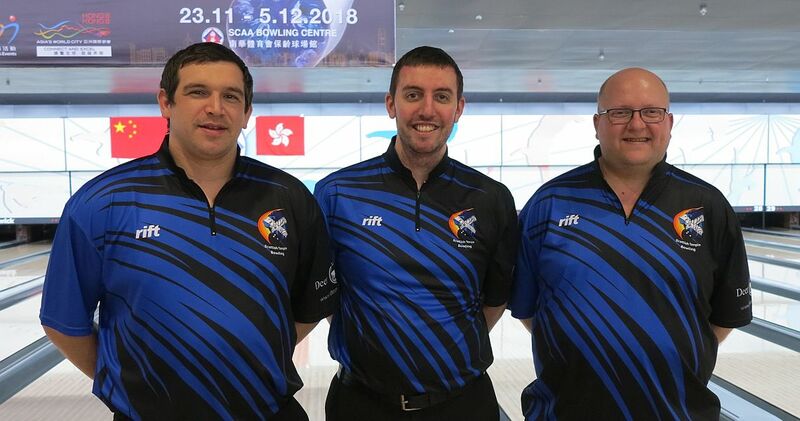 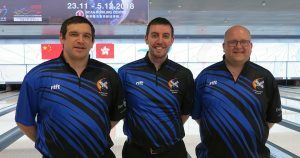 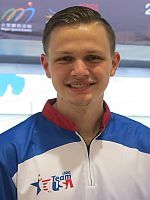 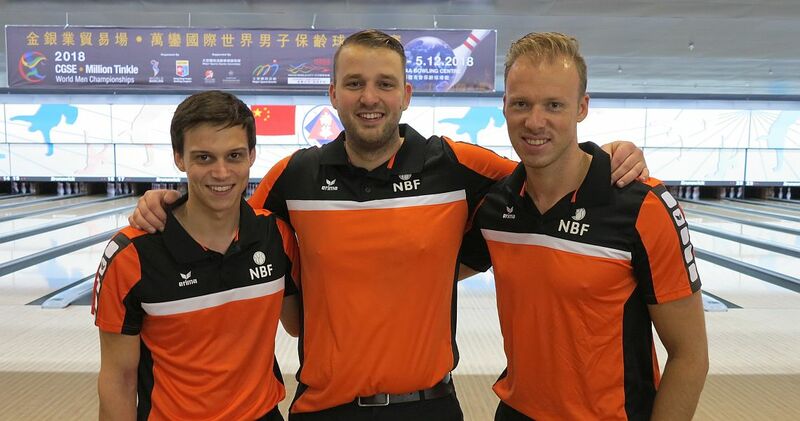 There were in the top 4 in Trios at the 2018 CGSE • Million Tinkle World Men Championships as the preliminaries have reached the halfway point at SCAA bowling center in Hong Kong, China, Thursday evening. 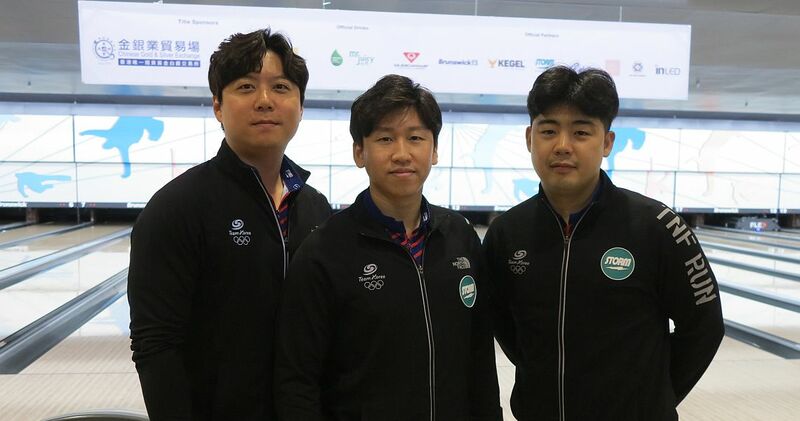 Featured photo, from left, Squad 3 leader Korea with Park Jongwoo, Koo Seonghoi and Kim Kyungmin. 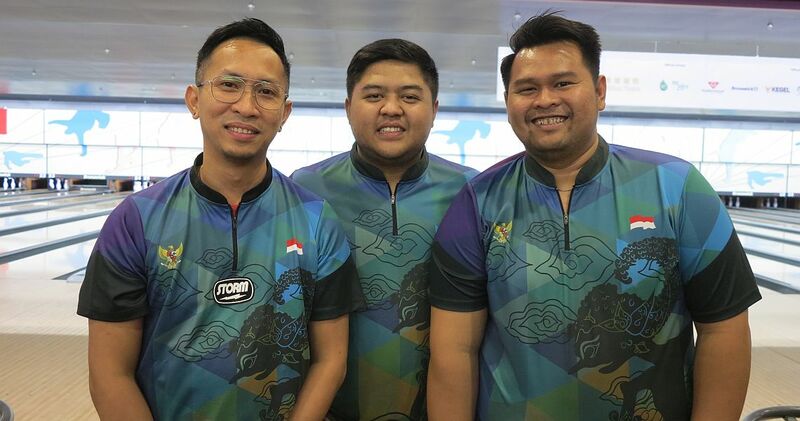 Ryan Lalisang, Billy Islam and Hardy Rachmadian (left, l-R) of Indonesia, who led the opening squad on Thursday morning stayed in second place with 2001. Rounding out the top 4, who would qualify for the medal round, were EJ Tackett, ndrew Anderson and Kyle Troup (left, l-r) of the United States of America who were second in the opening squad with 1984. 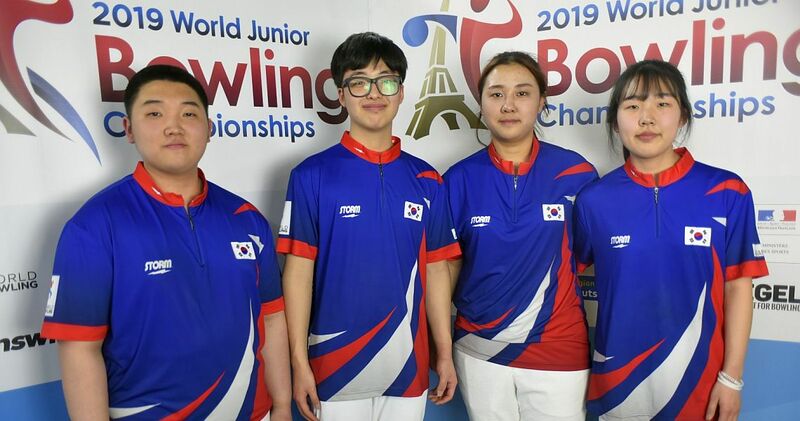 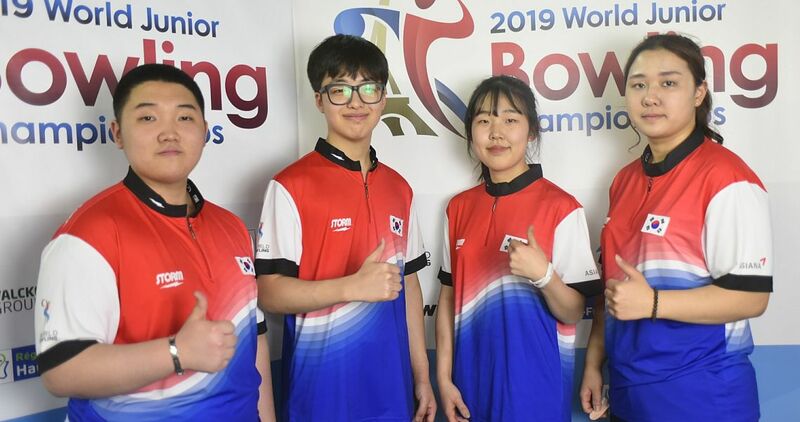 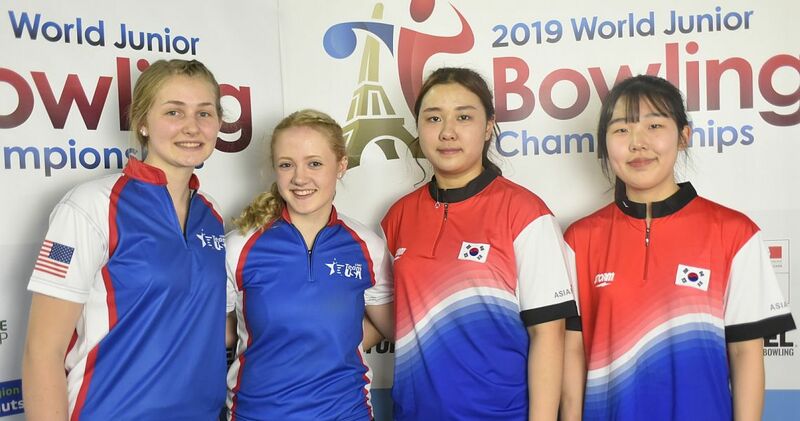 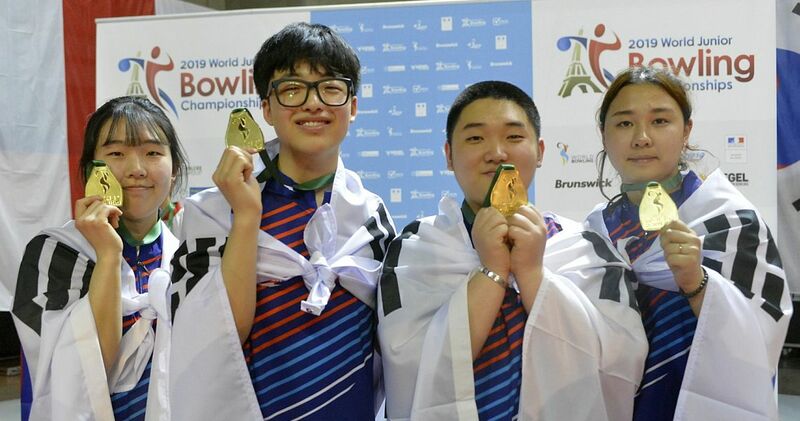 After a disastrous start into the trios event for the highly decorated South Koreans, whose first trio finished 29th among the 30 trios of Squad 1 with 1583 (175.89 average), Park Jongwoo, Koo Seonghoi and Kim Kyungmin (right, r-l) started with 679 to lead the 28 countries in Squad 3 by 52 and more pins. 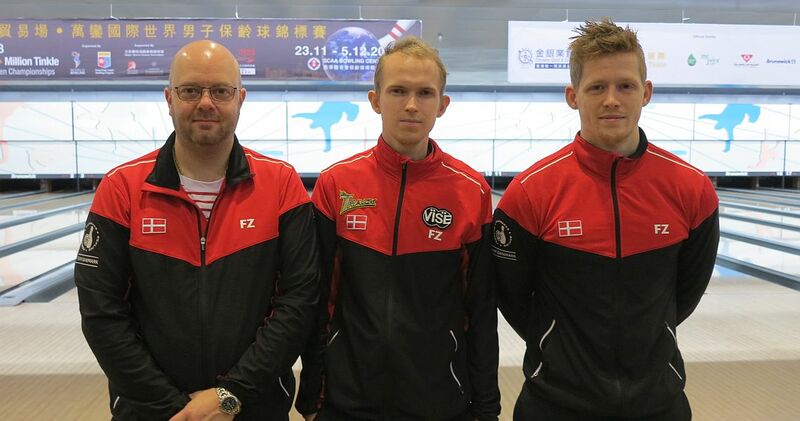 Denmark with 2014 World Champions in Trios (l-r) Carsten Warming Hansen and Thomas Larsen, who teamed with seven-time European champion Jesper Agerbo (left, r-l; including one title in each discipline and a second title in Trios), was in second place with 627. 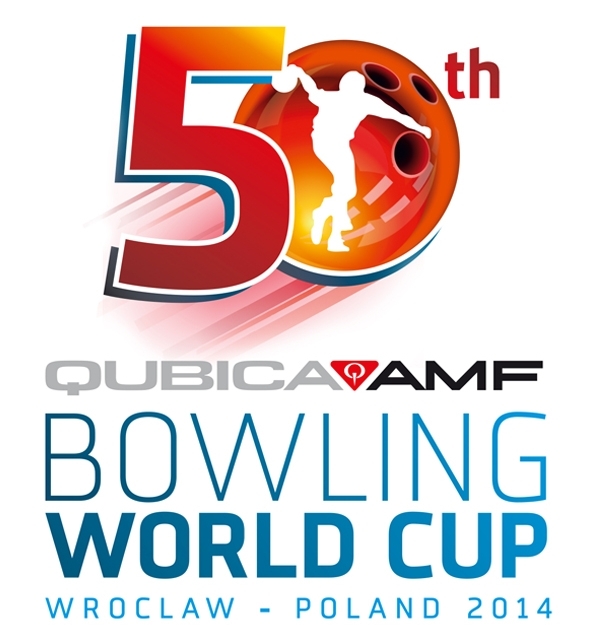 Du Jianchao, Wang Hongbo and Mi Zhongli of China managed 623 to sit in third place. Jonaykel Conejo, Alejandro Naranjo and Rodolfo Madriz of Costa Rica were fourth with 619, with Asian Games Trios champion Japan with Shusaku Asato, Tomoyuki Sasaki and Shogo Wada (right, l-r) mere two pins behind at 617, with Finland (616) and Scotland (602) close behind. 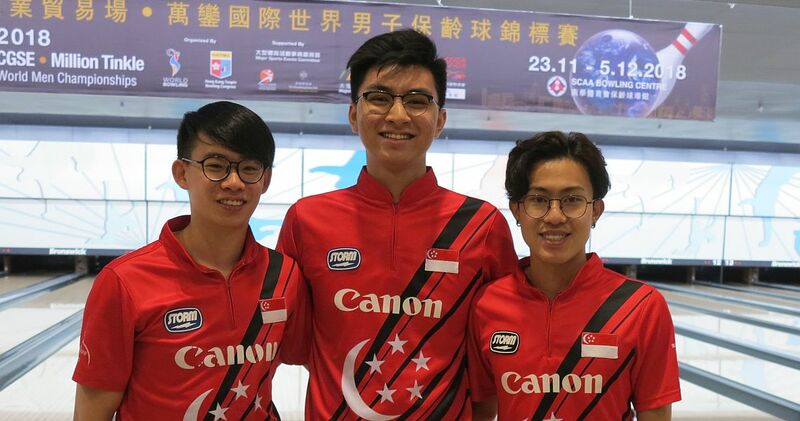 5th place Singapore was the only other team which averaged over 200, sitting in 21st place out of 86 trios with 1822. 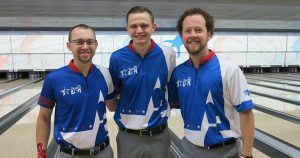 The 10th place trio from Canada (Dan MacLelland, Francois Lavoie and Mitch Hupé, r-l) after the first block is less than 100 pins away from fourth place, making Friday’s second block before the cut to the top four promising to be an extra exciting round. 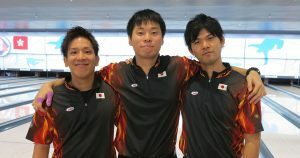 There is a bigger gap between fourth and fifth place. 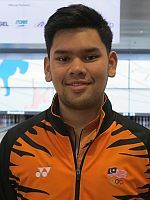 Rafiq Ismail (right) is the best Asian bowler in fifth with 3284 (218.93), followed by Pontus Andersson of Sweden, who is the best European bowler in 6th place with 3247 (216.47).